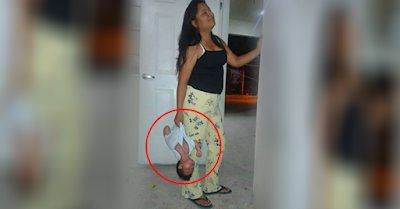 Baby Carried By Her Mother, Like a Hand Bag Ignites the Anger of Netizens! 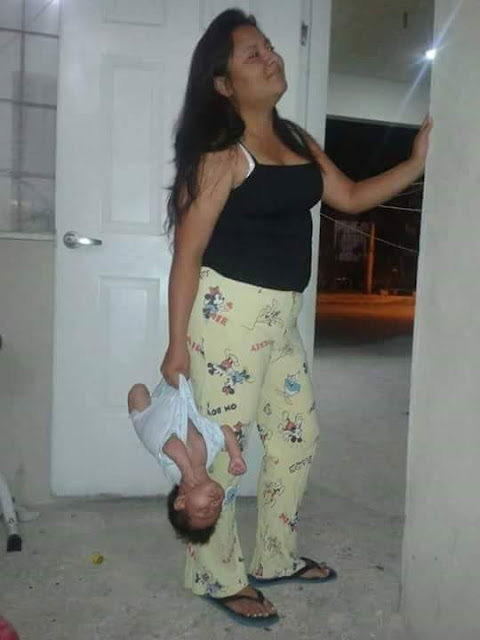 Photo of a lady who is carrying a baby in dangerous way is now circulating the social media. According to Mergelene Domer a Facebook user, she just saw this picture with one of her friends and it seems like they are enjoying what this lady is doing. Many people who saw this picture got mad; most of them want to share this post to reach the authority concern. People claimed that this lady might have psychological problems and the child must be saved from her abnormal activities. We always considered child as an angel that brought from the heaven that is why we should always give our full effort and love to these innocent lives. Being a parent is a very serious matter, that's why it is really important to a person or couple to be ready with the responsibilities before having a baby.